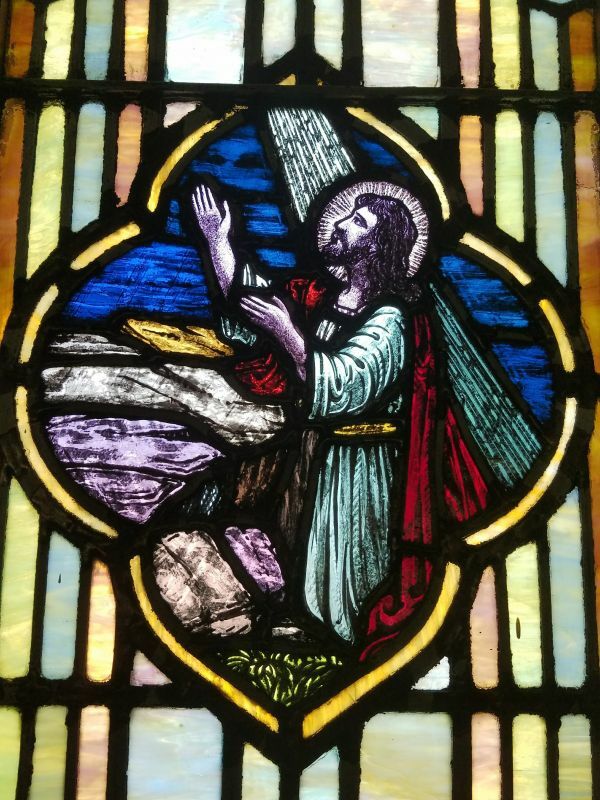 In 1993, a member of the church noticed that the painted black frame surrounding the “Easter Window" was starting to chip. 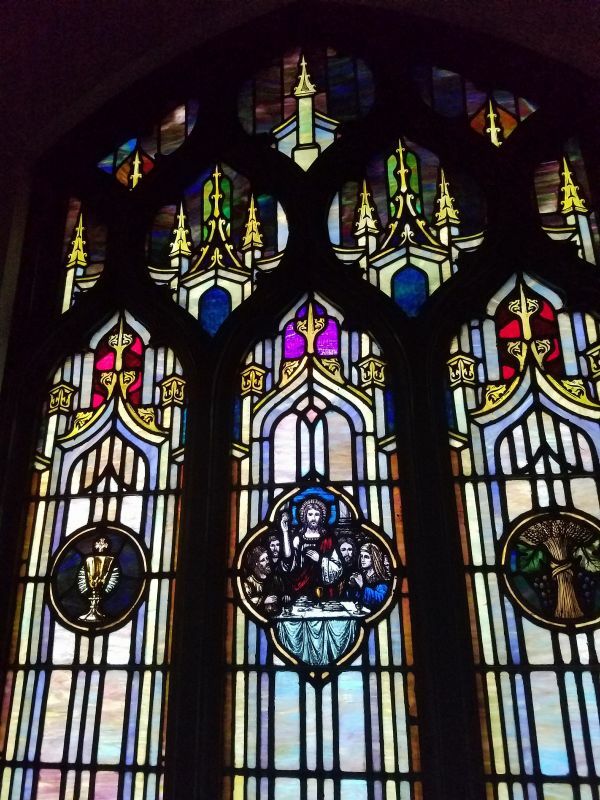 This is a beautiful and majestic window that is the centerpiece of the Coraopolis United Methodist Church, and special efforts are taken to preserve its beauty and power. Upon closer inspection, it was discovered that the frame was not chipping at all. Instead, by brushing against the frame, it was revealed that the original color was gray and that the “black paint” was actually several years of grease and grime. It seems that Pittsburgh’s past as a steel city had slowly blackened the cement frame. Armed with buckets and brushes, members of the congregation set about revitalizing the church--as they had so many times in the history of the Coraopolis United Methodist Church. 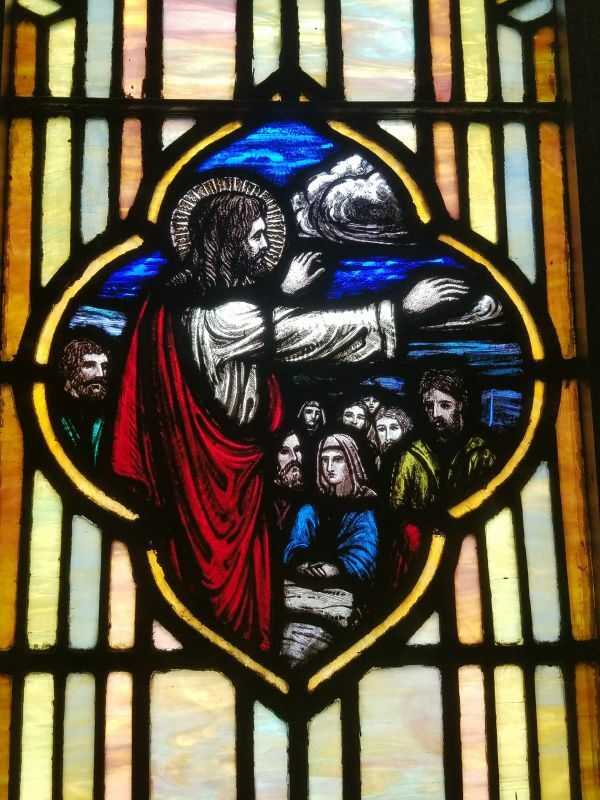 In 1925, parishioners of the Coraopolis United Methodist Church were told to grab anything that wasn’t nailed down and carry it to the newly completed church on Ridge Avenue. To an unknowing bystander, the sight of men, women and children toting books, lamps and chairs up the street may have looked quite odd. To the church members, their purpose was sound. They were furnishing their new home. More than 85 years later, 1205 Ridge Avenue is still the home to members of the Coraopolis United Methodist Church. 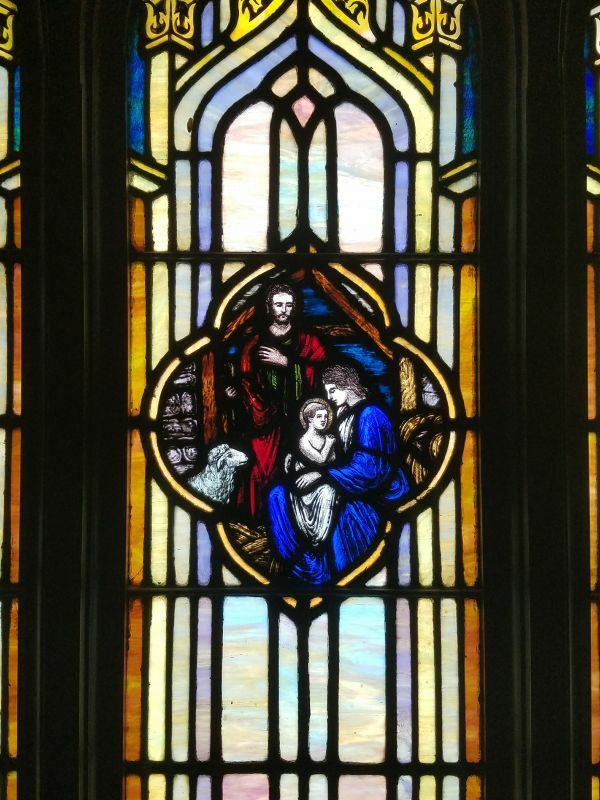 Long before the last brick was laid and a time capsule recording church life in 1925 was hermetically sealed in its foundation, the Coraopolis United Methodist Church began serving the Ohio River Valley. 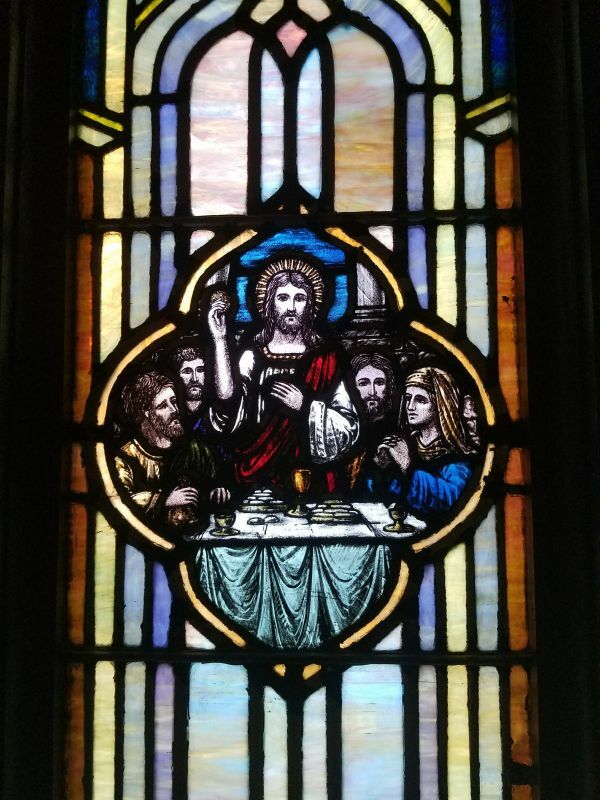 The present day structure, adorned with beautiful stained-glass windows, paintings by an award-winning, homegrown artist and an elaborate pipe organ, is a far cry from the first home occupied by the Coraopolis United Methodist Church. In the 1750’s, Coraopolis (originally known as Middletown due to its location between Fort Pitt and Beaver County) was nothing more than an outpost consisting of Vance’s Fort and a few surrounding houses. Most houses were built as close to the fort as possible to offer protection from Indian raids, which were quite common at the time. Timber was the main source of revenue and living was considered rough and dangerous. The Ohio River proved an excellent means to transport logs down the river to locations as far as New Orleans, where the booming shipyards awaited them with open arms…and waiting saws. The Red Lion Inn, built at the end of Main Street, welcomed weary travelers, lumberman and even George Washington, who spent the night in Coraopolis on October 20, 1770 while surveying the Ohio River Valley. The town grew steadily over the next seven decades, as more and more families began to settle in the area. Most of these settlers were members of the Presbyterian church. In 1843, a circuit rider named Abner Jackson arrived in Middletown and planted the first seeds of the Coraopolis United Methodist Church. During one of his trips, Jackson made the acquaintance of Mark Watson, his wife, and their six children. Before long, Jackson was making regular visits to the Watson farm, which was perched atop Main Street at the site of the present day Coraopolis Cemetery. Known as “Methodist Society Meetings,” they were regularly attended by five families: the Watsons, Hagans, Marions, Derstines and Moores. 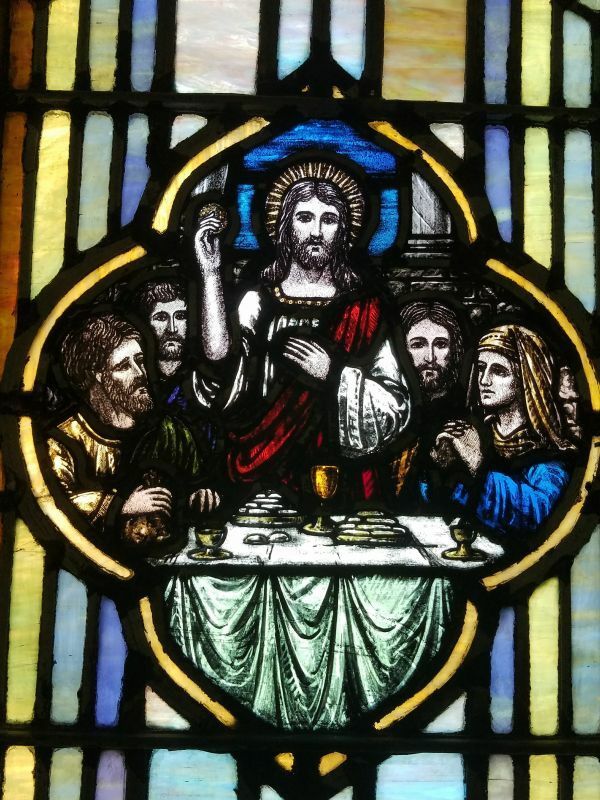 While the five families did not make a large congregation, Jackson saw promise in Middletown and had the Methodist Conference make it a permanent stop on the Clinton Mission. From 1843 to 1849, services were held at the Watson farm. Eventually, Watson donated a portion of his property to the trustees of the Methodist Church, thus providing the land for a permanent church structure. The first Methodist church was erected in 1849 at the princely sum of $500. The small, wooden structure, situated at the Northwest corner of the present day cemetery, sat 150 people and was presided over by the Reverend Josiah Dillon, who had moved to Middletown a year earlier. Though new to the area, Dillon became the guiding light of the fledgling church for years to follow. 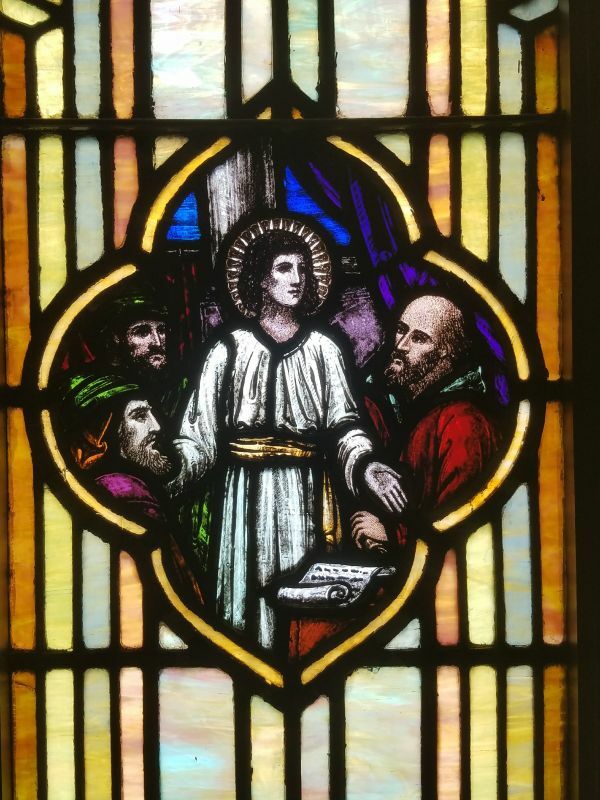 His guidance, leadership, labor and love provided a solid foundation as the church began to slowly grow and become a permanent fixture in the area. By his own account, Reverend Dillon noted that growing the church was no easy task. He estimated that during his first two years he preached an average of three hour-long sermons each week and about 350 sermons per year, resulting in 3,500 hours of preparation time. In addition, he logged approximately 3,700 miles of travel on horseback, through all kinds of weather. For his efforts, Reverend Dillon received a salary of $200 per year. The constant travel across the steep hills of Coraopolis made preaching difficult, and the church’s modest membership dwindled until its only members were those of the Watson family. The Methodist Society collapsed when Mark Watson died in 1856 and his wife in 1862. While the Methodist Church came to a standstill, the surrounding town was beginning to grow. In 1861, a post office was built, and by the end of the Civil War in 1865, the town’s population was 65. Main Street consisted of 15 houses, and an additional 14 houses dotted the nearby farmland. By this time, more than 50 Methodists resided in the surrounding area, and it was decided that the church at the top of Main Street was too far from the center of town. The old church was razed in 1876 and physically moved to a site that today would be directly in the middle of Main Street and Fifth Avenue. In 1886, Middletown became known as Coraopolis. The church remained there for 14 more years until a fire completely destroyed the structure. Reverend Dillon, who lived at the corner of State and Fleming Street, donated the easterly corner of his property for the construction of a new church. Four years later, in 1894, the doors to the new church were opened. With the completion of the third church building, the Coraopolis United Methodist Church became a station church, sharing an appointment with Shousetown (currently Glenwillard) until 1891. Even though the new church was larger and able to hold a greater number a people, the growing congregation prompted the need for an even larger structure. The “new” Coraopolis United Methodist Church was dedicated on May 17, 1925. A weeklong celebration marked the opening of the church, which cost $160,000 to complete. The church was built with red brick and timed in white stone. The building’s ground floor is built in the shape of a cross and the main auditorium is lined with 10 truly beautiful stained-glass windows. 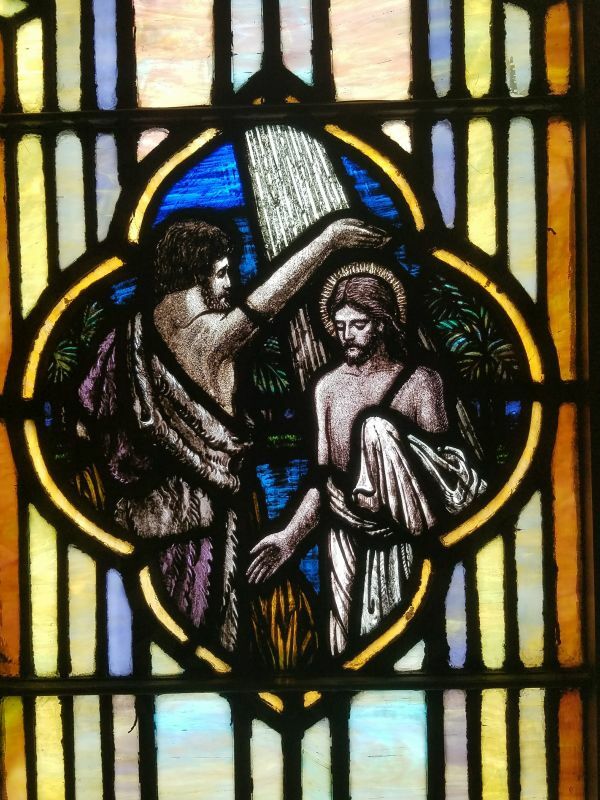 Within the nave of the church is a pipe organ and choir loft, all which sit under the watchful eye of the “Easter Window”, a large stained-glass window depicting the resurrection of Christ. 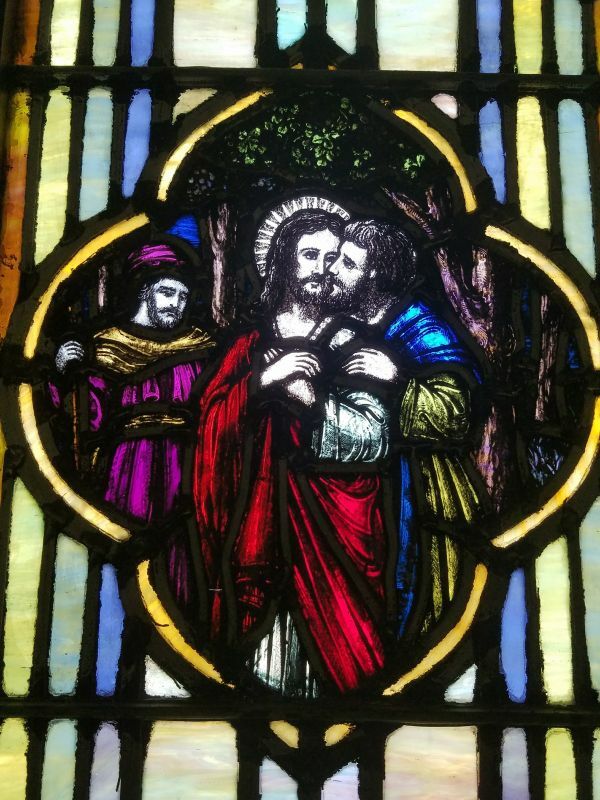 (Click here to learn more about stained-glass windows). The church can hold more than 400 people during a normal service but can be expanded to hold another 200 if needed. In 1945, the Church marked its 20th anniversary at Ridge Avenue with a mortgage burning celebration to mark the church as free and clear of any debts associated with the building’s construction. Following World War II and with Pittsburgh’s booming steel industry, Coraopolis and the Coraopolis United Methodist Church flourished. Most members of the church lived within a few square miles of the centrally located church and for the next few decades, the church thrived. As the steel industry began to dwindle in the 1970s, towns like Coraopolis began to decline in both prosperity and population. While Coraopolis was no exception, the popularity and reach of the church had expanded into neighboring communities within the airport area, such as Moon Twp., which did not have Methodist Church of its own.